Green beans, snap beans, string beans, pole beans or bush beans, whatever you call them they equal a nutritious treat at the dinner table. Green beans come in different varieties, such as pole beans which grow up a trellis or stake, or bush beans which are compact and grow lower to the ground. 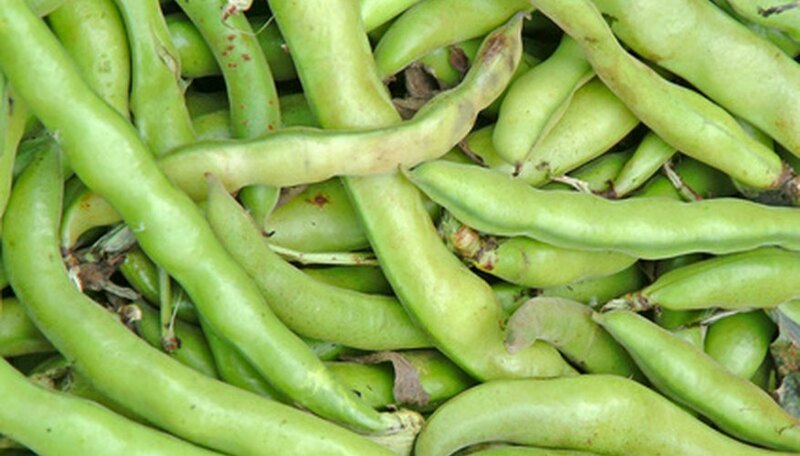 All varieties yield up a green bean harvest, and are planted according to the same basic instructions. Start green beans indoors, four to six weeks before your growing area's last frost date. Set your peat pots in a plastic seed tray and fill them with a commercial seed starter soil mix. Water the pots to moisten the soil. Insert the green bean seed 1-inch into the soil, and cover it up. Cover the peat pots with a sheet of clear plastic wrap to help trap moisture and warm the soil. Place the pots in a warm window, and remove the plastic when seedlings emerge. Keep the soil moist as they grow, and do not plant outside until all danger of frost has passed. Loosen garden soil 6 inches deep. The easiest way to do this, if you are planting a large garden, is with a rototiller. However, you can also use a shovel and hoe if you don't have tiller access. Plant green beans one to one and 1/2 inches beneath the soil, and be sure to cover them well. Bush beans should be planted 3 to 4 inches apart, and pole beans should be planted 6 to 10 inches apart. If you are planting more than one row, space your rows of bush beans 18 to 24 inches apart, and pole bean rows 3 feet apart. Water the ground where you planted the seeds, just enough to make the soil moist but do not over water it and make it soggy. Place your support for pole beans at planting time. If you try to place the support into the ground after the plants begin growing, you risk damaging their roots. Plant pole beans along a fence or trellis, or insert a five foot plant stake,12 inches into the ground, near the beans. For continual harvest, plant a new row of bean seeds every two weeks throughout the summer. Never plant beans in the same garden spot two years in a row. The University of Illinois Extension explains that if you do, you are subjecting the new bean crop to diseases that can carry over in the soil from the previous year.